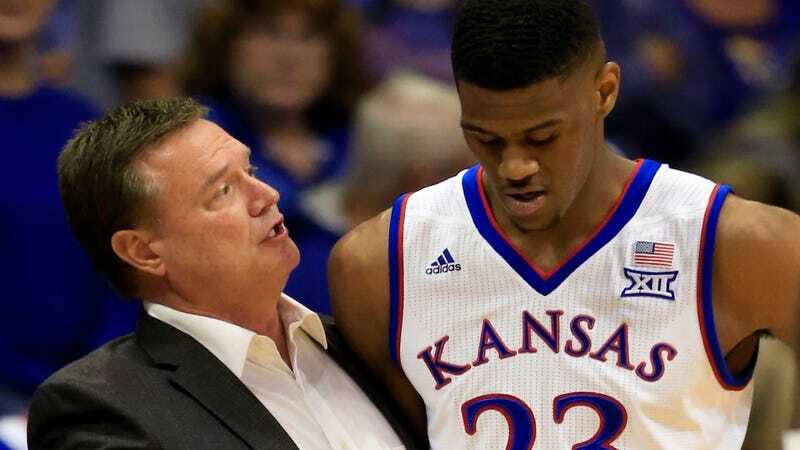 Billy Preston Not Playing After Car Wreck; Kansas Says It Needs "A Clearer Financial Picture Specific To The Vehicle"
Shortly before Kansas’s game against Kentucky, the team announced that freshman forward Billy Preston would not play due to his involvement in a single-vehicle car crash with no injuries, which the administration is investigating for “a clearer financial picture specific to the vehicle.” Hmm. There’s some mighty curious language around that phrase “needed a clearer financial picture specific to the vehicle,” which makes clear that this is an internal investigation and not an official legal one. A few possibilities here: Kansas has some sort of encoded standard for determining discipline over a player crashing his own car. (No big deal if it’s less than $500 worth of damage, but a minimum of two games if he totaled it?) Or maybe the financial picture of Preston’s car was important to someone around the program—say, a booster? Who knows! !